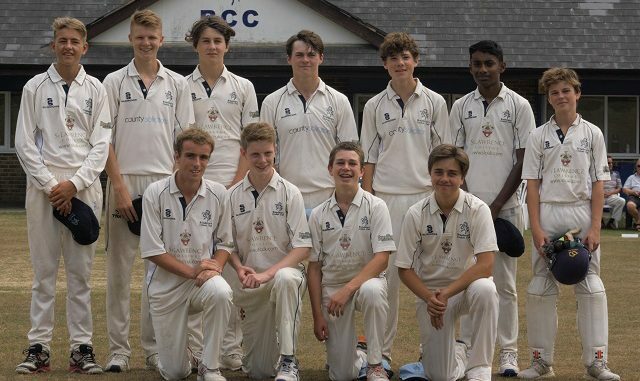 Broadstairs U15s completed an emphatic victory over Sussex champions St James Montefiore to progress to the last 16 of the ECB National Club Competition. Winning the toss and batting first in front of a sizeable and lively crowd at Park Avenue, Broadstairs got off to a shaky start with both Archie Ralph-Harding and Harry Carter removed for zero within the first 4 overs. When George Kidd joined Nathan Fox at the crease, it would be down to these two to steady the ship and build a defendable total. This they duly did with an exhibition of controlled run-scoring under pressure; the pair put on 48 runs before Fox (38) was dismissed in the 12th over and the score on 64-3. A couple of quick run-outs led to the early departures of Tom Marshall (2) and Callum French (0) and the hosts were on the back foot again and the situation deepened further when Joe McCaffrey (3) was adjudged LBW. 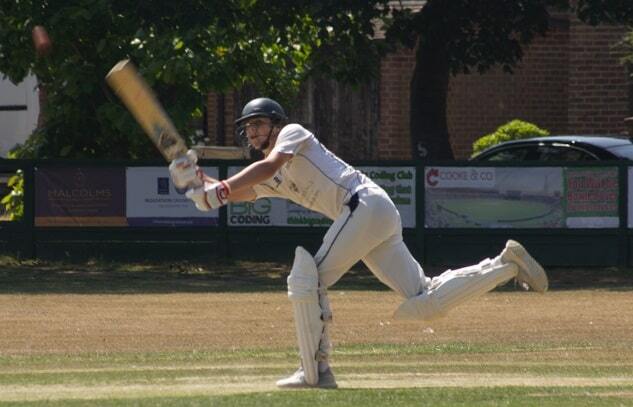 However, Kidd (pictured) continued to bat with composure and when he retired having reached his 50, Reginold Baskaran (13) took up the reins with some expansive hitting, ably supported by Jack Cave (6) and Thomas Izzard (2). Izzard was bowled with the last ball of the match leaving Matthew Marson on 0* and the total at 125, probably 25 runs short of what Broadstairs might have hoped for at the start. The Seasiders knew that if they were to defend this sub-par total, they would have to bowl economically and take early wickets. The opening partnership of Ralph-Harding and Fox did not disappoint with Ralph-Harding (3-8) being particuarly effective with the new ball. 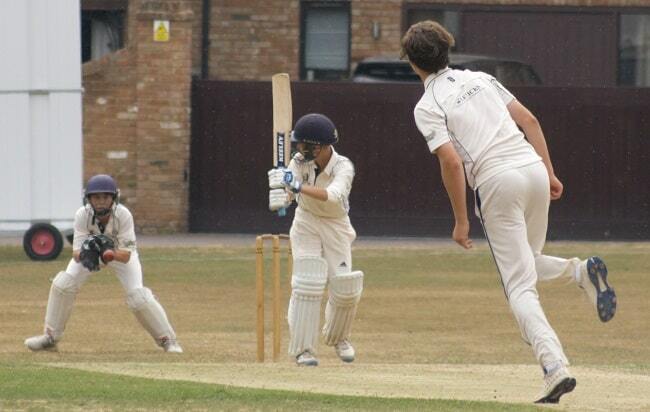 By the end of their combined 8 over spell, St James Montefiore found themselves at 30-4 and with a mountain to climb. The spin combination of McCaffrey and Kidd then took over and the required run rate started to climb. 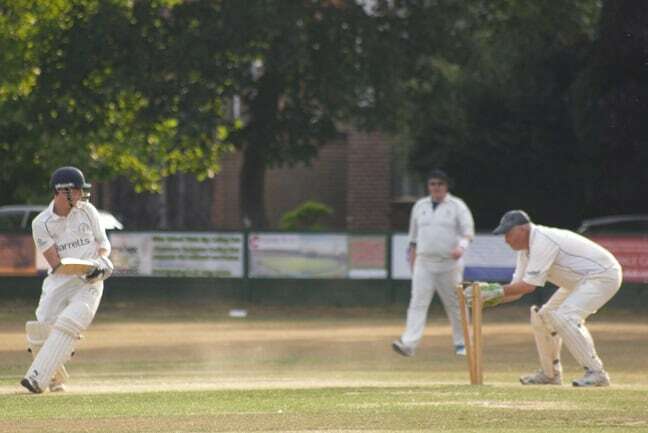 The introduction of Carter’s pace led to 3 quick wickets and the innings was completed when McCaffrey took the final 2 wickets with successive balls. He finished with figures of 2-9 off 2.2 overs and Carter with figures of 3-9 off 3 overs, completing an impressive all-round team performance. The team travel to Horsham for the London and South Regional Finals on Monday, July 30 where they will meet Suffolk champions Copdock and OI CC for a place in the last 8 round which will take place later on the same day. 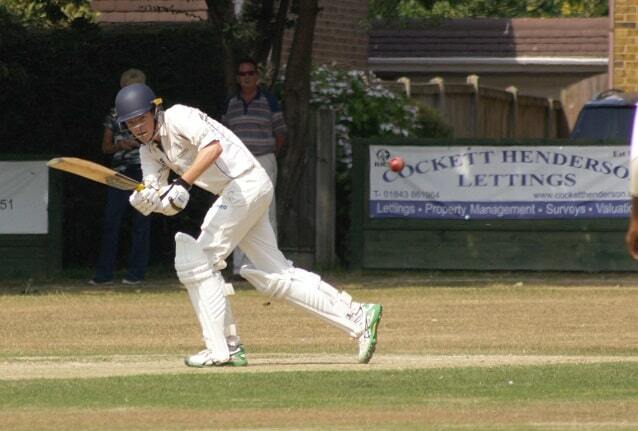 Broadstairs 1st XI’s mid-season stutter continued as they were soundly beaten away to 3rd place Hayes. 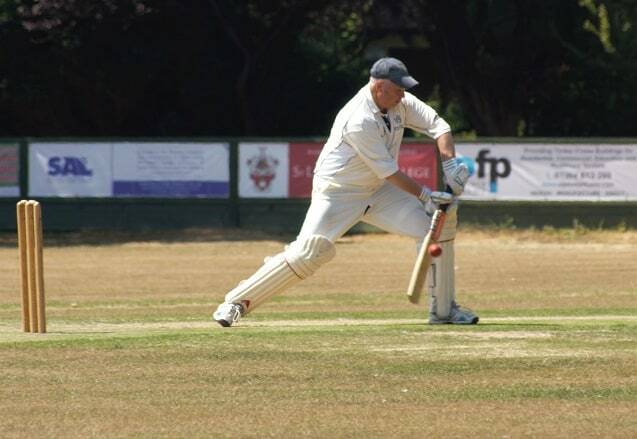 Having lost the toss and invited to field, Broadstairs endured a hot an energy-sapping afternoon and struggled to contain the strong batting line-up of Beau Couldrey (33), Finnan Bryan (67) and Joel Couldrey (59). Grant Sheen was removed with the score on 20, caught by Jamie Dewell off the bowling of Elliot Fox but this early breakthrough was not followed up until the 19th over when Matthew Frewin bowled Beau Couldrey. Hayes then made steady progress with a series of wickets by Dewell (2-41) and Chris Kidd (3-51) containing the scoring. At 156-6, it looked like Broadstairs might limit the hosts to below 200, however a 7th wicket partnership of 55 between Joel Couldrey and Tomas Gallagher put paid to that. Furtehr damage was inflicted by the 8th wicket partnership of Gallagher and Simon Routh and eventually, Hayes finished on 264-9 with the remaining wickets being claimed by Swaroop Dasari and Jack Wheeler with a run out. Broadstairs’ reply faltered at the first hurdle when opener Fox was trapped LBW by Stuart Eddicott for 2. Fellow opener Harry Carter provided a sprightly 17 off 20 balls before being caight off the bowling of Eddicott who would finish with figures of 4-21. Of the remaining batsmen, only 4 reached double figures; Masoud Rangin (27), Dasari (26), Jamie Dewell (23) and Matthew Frewin (13) and the visitors finished all out for 139, 125 runs short of the target. After a tremendous tea (the honey and mustard sausages were a massive hit)! Archie and Brad opened the bowling, we knew the batting line up was strong and we’d have to be at our best and we got off to a flying start courtesy of a run out. Saints skipper Lewis Jenkins hitting the ball straight to Natty and setting off, Natty threw the ball into Lee who whipped the bails of and we had our first wicket. The other opener Paul Reynolds was trying to attack hitting over the top putting us on the back foot. It wasn’t until the 14th over when we got our second wicket, Reynolds trying one hit too many and Lewis Hewitt taking a very good catch at deep mid off (49-2) . After 2 very rusty overs from Luke Palmer he then took the next wicket, Turrell finding Archie and the Brad with the penultimate ball of his spell had the number 3 LBW we had them 69-4. Man of the match was a tough decision, but as it was his day, he also produced a cracking tea, set us up with a great 60, took 2 stumpings and a catch (and a no ball for gloves in front of the stumps) Lee Hewitt takes the honours.